Here are some of the key features you should look for in a quality POS system. Your POS system must have the ability to generate robust reporting for you on your sales results. It should do daily, hourly and real-time reporting. It should allow you to look at year over year and day parts. It should forecast for you based on sales trends. In retail, cash is king. And the biggest drain on your cash is inventory. A properly managed inventory system is paramount. A quality POS will calculate your inventory turnover, GMROI, sell-through rates, and fill-in orders. Your POS system should alert you when you need to reorder and flag inventory that is "dead" in your store and not moving. It should track markdowns and shrinkage as well. Knowing who your customer is and what they like and do not like can save you headaches when you're selecting a POS system. Storing customer data and purchase history helps to personalize the experience with the customer and serves as a huge plus for customer retention. When you plan for advertising, this data allows you to select the exact customers who would be interested in your sale. For instance, in a shoe store, it's a waste of money to send a sale flyer for 50 percent off of oversize (14-16) shoes to a customer who wears a size 6. The kind of data provided by POS systems can help avoid those kinds of mistakes. Probably the one component that is forgotten when looking for a POS system is employee management. Do you have the right staffing levels for your sales? What should the schedule be for next week based on your sales forecast? It should track employee hours and sales performance as well. For sales performance, look at the metrics of each employee. Key selling statistics like % of sales in accessories, # of items per ticket and sales dollars per hour help you track the productivity of your employees. Consider this, you have four employees all working the same hours, but which one is making you the most money? This data can tell you that. It will also help you reward key selling skills behavior and we all know that what gets rewarded gets repeated. Customers are choosing retailers who provide an incentive to be loyal to the store over stores who do not have a loyalty program. 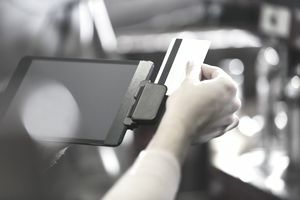 Your POS system must be able to track this for you instead of using old-fashioned punch cards. Whether or not you will require your customers to carry a physical card is up to you, but have some way to track customer loyalty incentives. Many studies prove that a customer will spend more money with a retailer who has a loyalty program. The gift card is a staple in retail today. Your POS system must be able to manage and track these cards well. Each year, the sale of gift cards continues to rise during the Christmas season. And the truth is, many people will tell their families they prefer a gift card versus an actual present. It's more convenient for the giver and ensures the receiver gets a gift he or she truly desires. There are federal laws and regulations regarding gift cards, so make sure you choose a POS system that can track and keep you compliant with these laws. The system's ability to be able to generate custom reports for you is in a category by itself. Every system will have a set of predefined reports you can run, but since your retail store is unique, make sure you select one that has the ability for you to tailor your analysis. Look for a POS that will send you the reports weekly without you having to run them. Alerts are another great feature. Some POS systems will allow you to set alerts when certain things happen in the store—a large sale or large return or you hit the sales goal for the day. It gives you both the chance to celebrate with your employees and hold them accountable at the same time. What Is Retail's "Acid Test Ratio"?